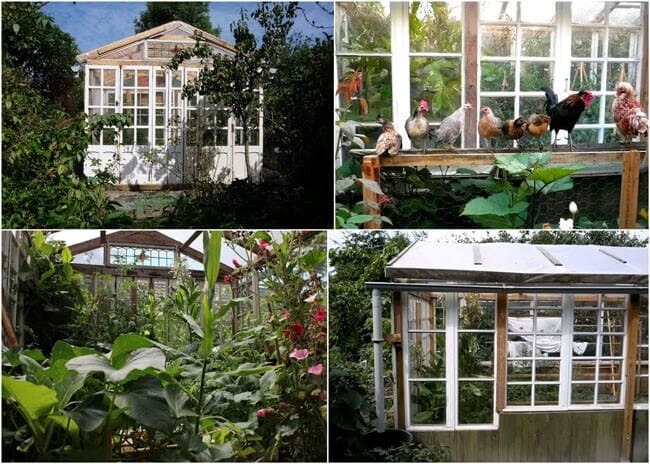 There are those of us who could spend an entire afternoon daydreaming about cold frames and greenhouses. 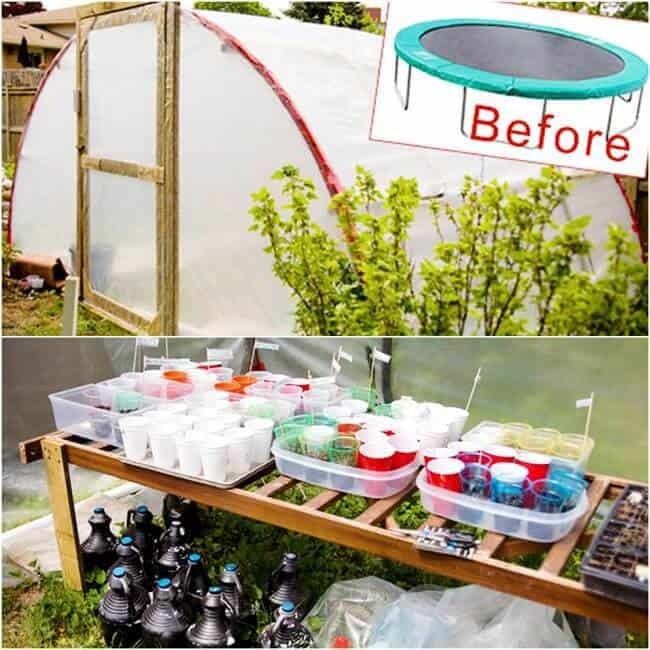 Regardless of whether you are looking for something simple and easy to complete or want to undergo a massive project, we have searched far and wide to produce a list of amazing DIY greenhouse ideas. Each of these products is an end result of the love and passion that went into creating them. We have put together a list containing straw bale as the building material (which needs no tools or equipment to complete), old bottles, tree branches, windows, painted jugs, passive heating elements, and even a trampoline. 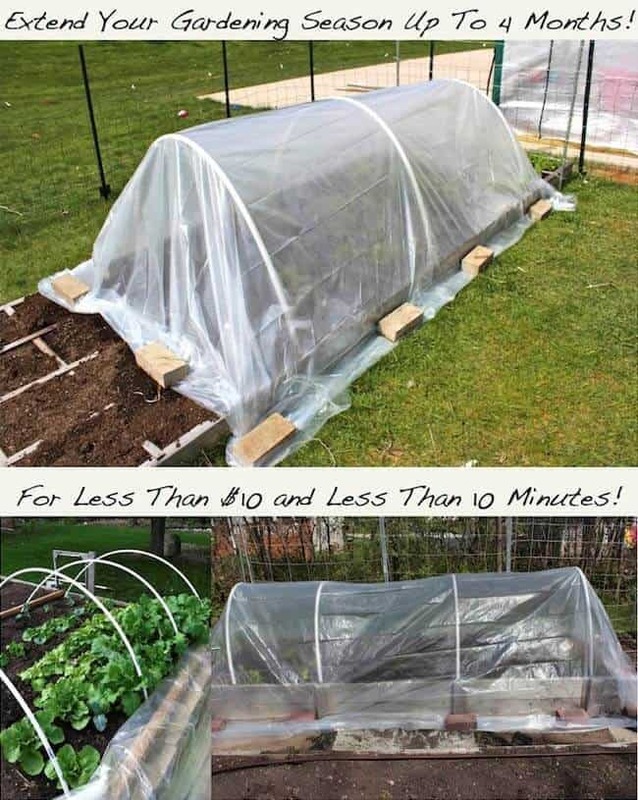 These surprisingly effective yet simple greenhouses were made in less than a minute. Here is a quick tutorial that will show three steps that will make your project a success. This tutorial is amazing. By using a cedar hoop, your project could last up to 30 years. Cedar and other trees that are rot-resistant may be found where you live and can make an all-natural and attractive alternative to PVC pipe. This idea is very simple to complete. 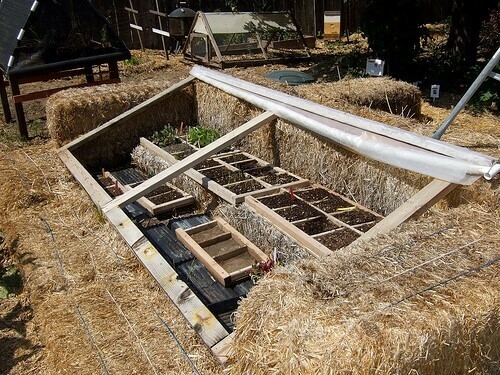 By using straw bales, the heat will be held by walls that do not require any tools to complete. Finish the frame by simply using plastic or windows. In order to provide growing space, the first design slopes toward the south with tires. Check out the tutorial here. 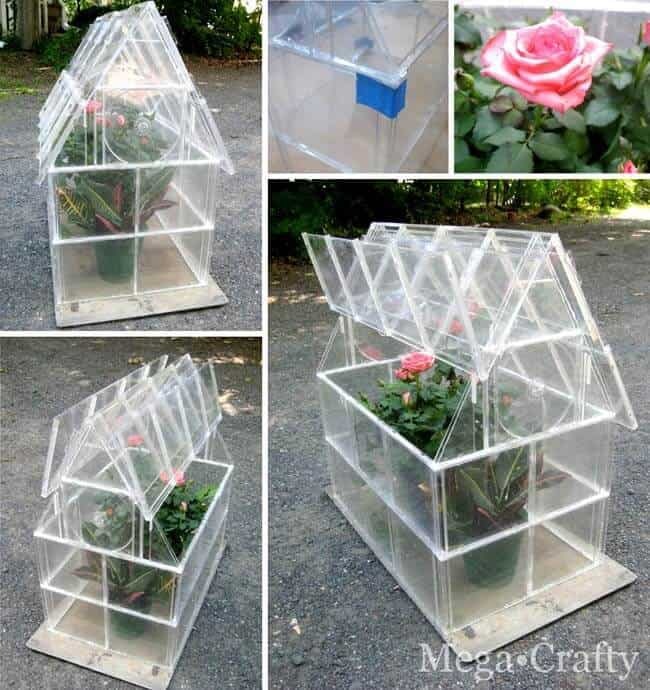 Because a CD cover already comes with the ability to open and close, this was a perfect idea for creating a simple greenhouse. All of the details can be found in the tutorial here. In America’s northeast, it can be impossible to grow vegetables such as kale, broccoli, and lettuce due to subzero temperatures. 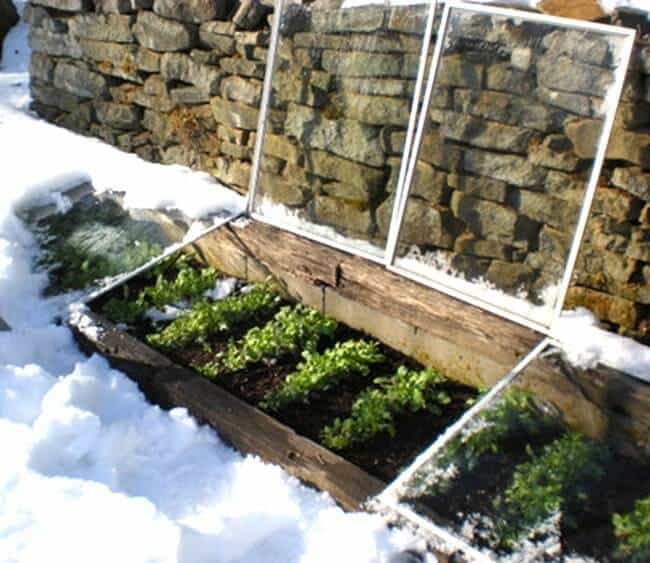 This cozy cold frame was the perfect idea to keep these plants alive and growing throughout the cold winter months. 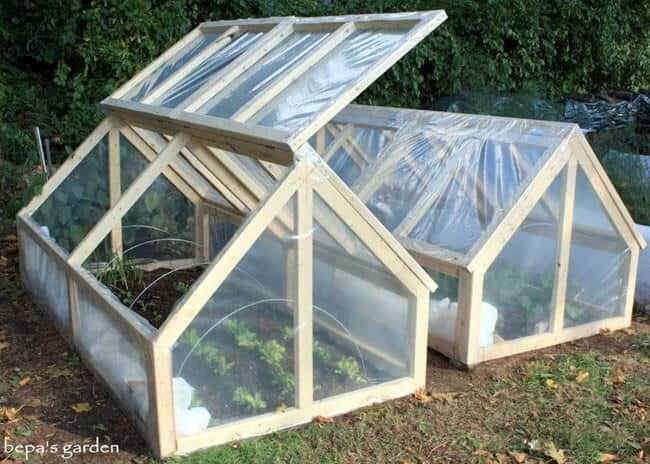 A free download containing the plans for this greenhouse can be found here. Running along the length of a stone wall facing the south is the perfect location for a cold frame. The stone absorbs solar energy, which then radiates out into the cold frame throughout the night. See more with t﻿﻿﻿﻿﻿﻿﻿﻿﻿﻿﻿﻿his tutorial. 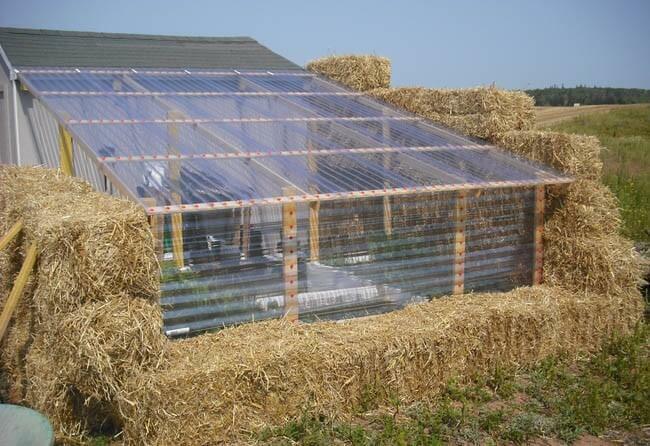 Combining this hoop house design with straw bales was a great idea. Fencing material consisting of heavy gauged galvanized welded wire constructs the livestock panels. 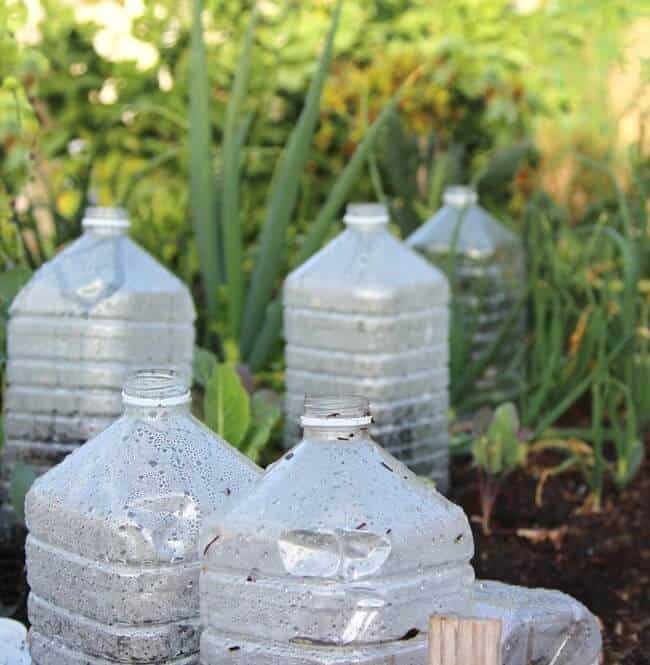 Because of the easy ability to remove the plastic cover, gourds, beans, and other summer plants are able to grow. This tutorial shows how easy this design is to build. 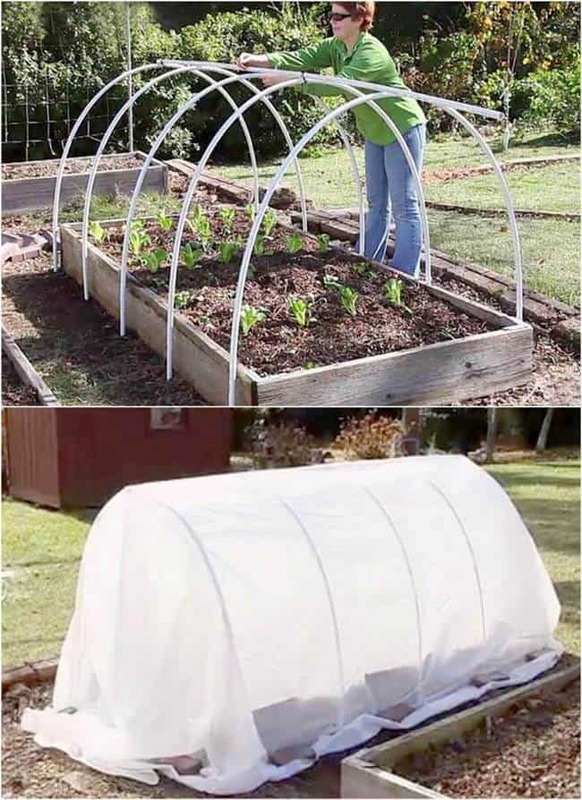 Smaller raised beds that need cover are the perfect product for this simple cross arch. You should use nontoxic 2x12 made from either cedar or redwood as materials instead of lumber that has been pressure treated. See the tutorial here. 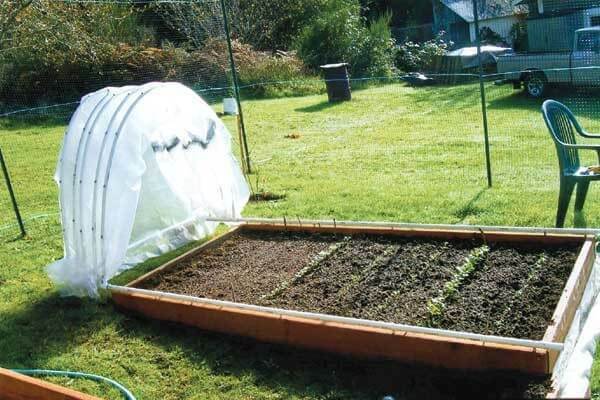 Pictured here are two separate variations of hoop houses covering garden beds, made with PVC pipe. In the first example, the PVC pipe is held into place with rebar stakes. In the second example, the PVC pipe runs directly into the ground. Here are tutorials for example one and example two. 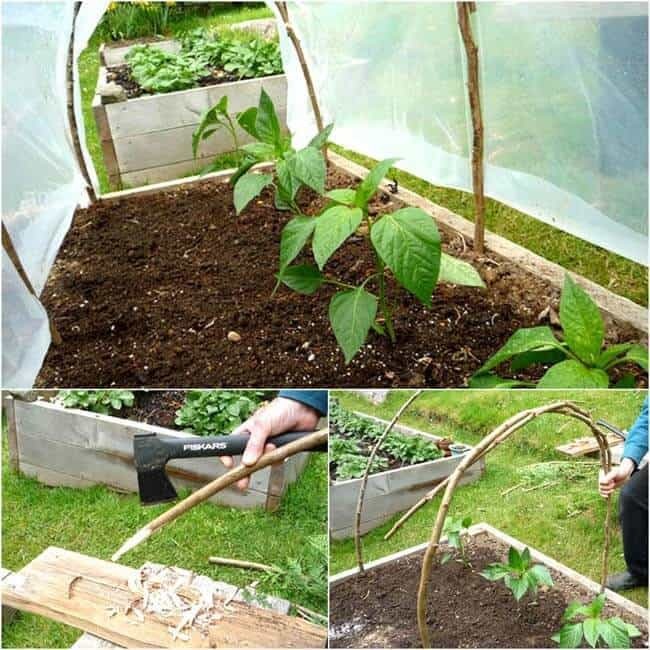 By simply pulling the two pieces of an old trampoline frame apart, you have the two archways needed to support your hoop house. Plastic jugs have been spray-painted black and filled with water. Throughout the day the water will heat up. At night, they provide extra warmth throughout the hoop house. You can find instructions for the project here. 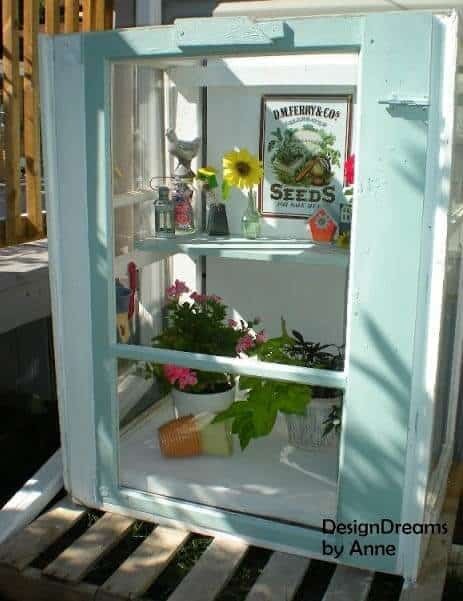 Making a box shape out of older windows that were no longer being used has created this beautiful and simple greenhouse. 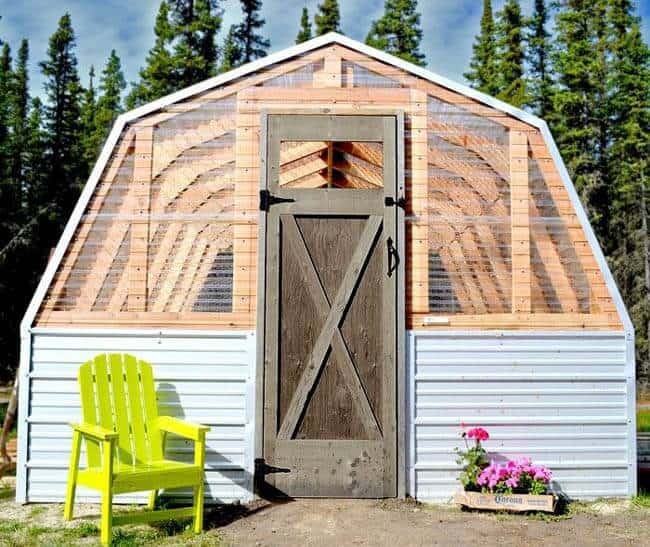 See how this greenhouse comes together here. When given the opportunity to run wild, the imagination can create almost anything. 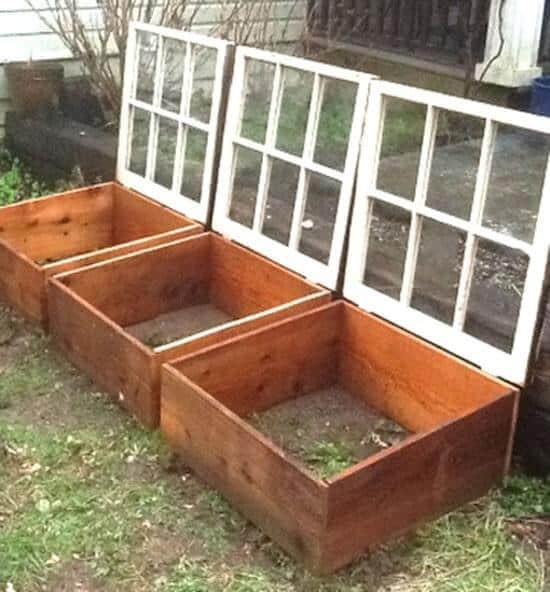 This cold frame was made with salvaged pieces of 1”x12” cedar and old windows destined for the scrap heap. See how they bring them back to life here. The design used here works easily on top of garden beds. The frame of the hoop house has been made with .5” PVC pipe. The 1” diameter tees easily glide over ¾” diameter aluminum pipe rails. Untreated fir wood creates the garden beds. See how the project came together here. 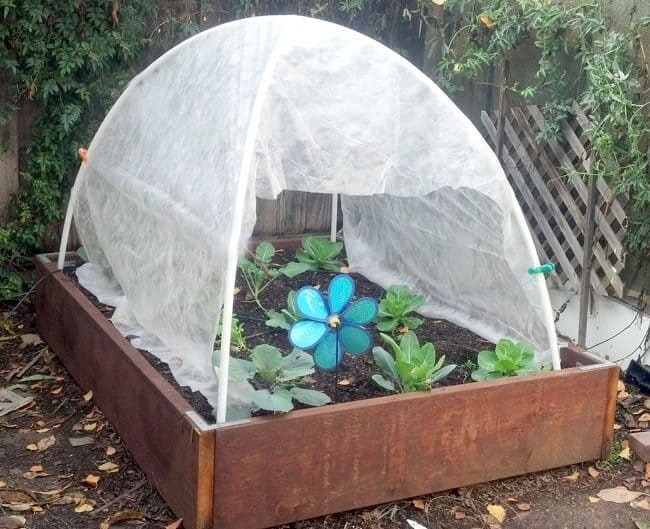 No list of creative greenhouses would be complete without this project being added. Someone could live inside of this one. Follow the plans and instructions to complete this project here. 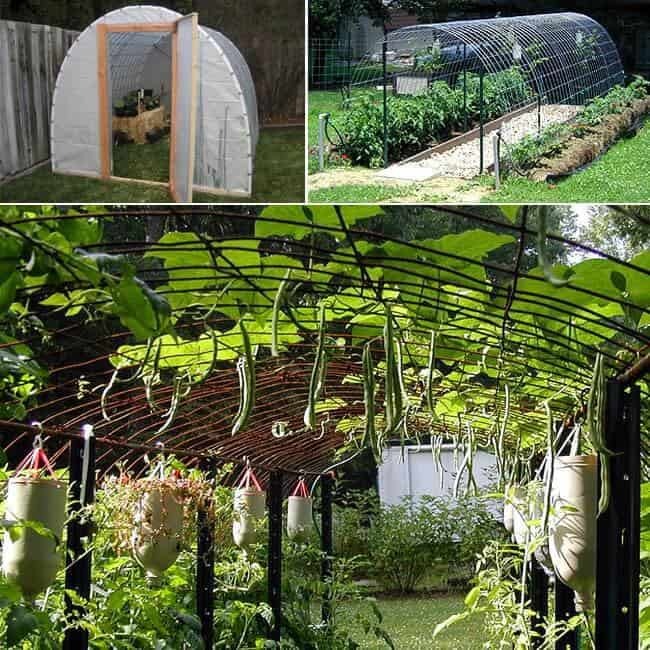 These three larger greenhouses are goals and dreams that were made by the ambitious. Each one of them has their own individual ideas that you can learn from. 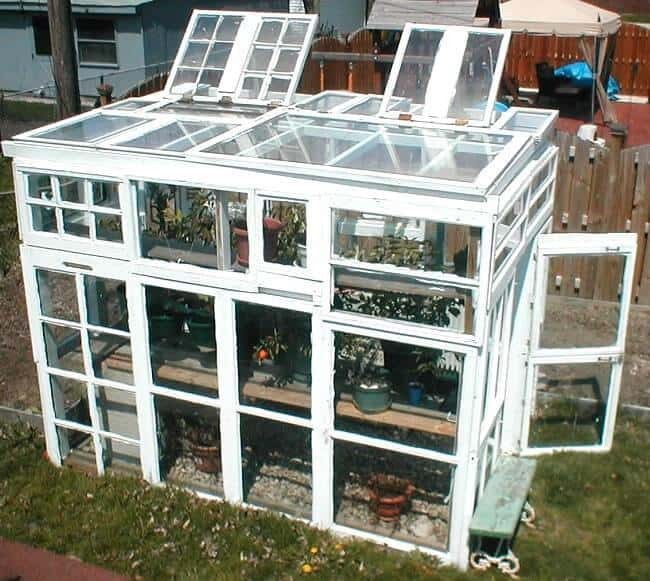 It took 24 windows and a total of 16 pallets in order to complete the pictured greenhouse. It also has the ability to harvest rainwater. See how with this tutorial. This novel greenhouse project uses fans and vents. All of the detailed instructions can be found here. There aren’t any limits to what can you can do by simply adding paint. Give your project a color that will add character and identity to your garden. 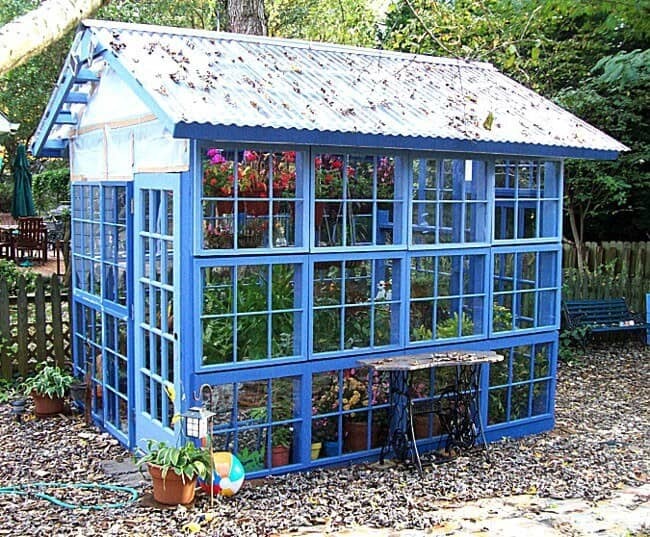 This amazing greenhouse was made by the same person who created the beautiful window greenhouse shown earlier in this article. 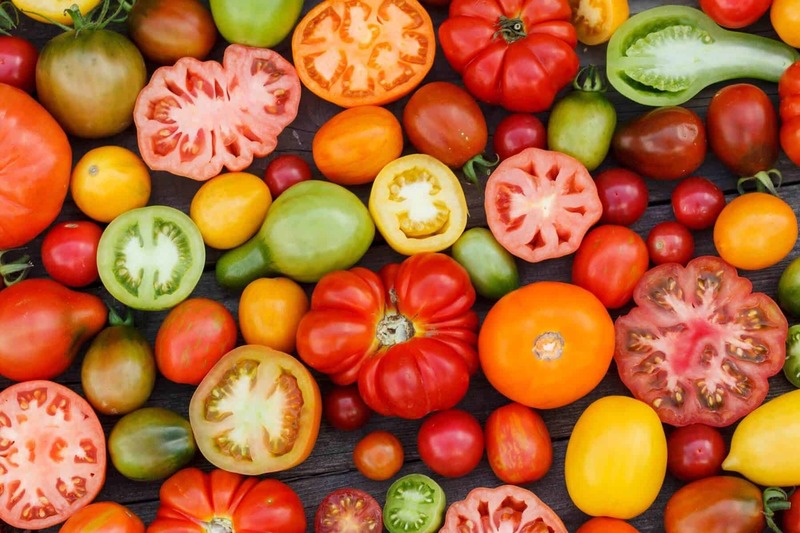 A perfect example of what variety is able to add to the garden. 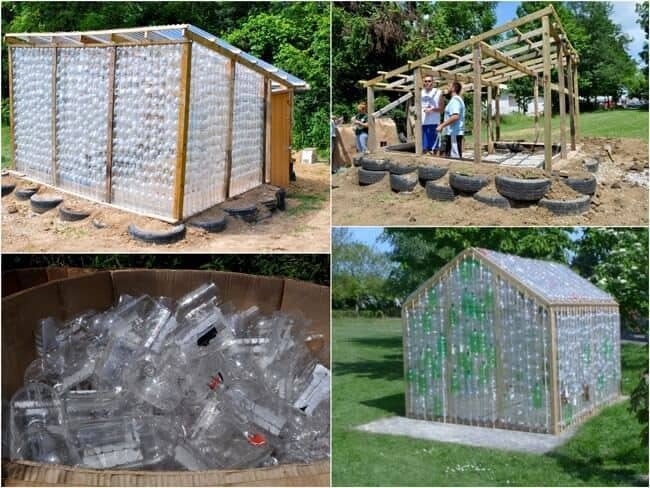 Students at Wilmington College completed this greenhouse made out of empty soda bottles. Discarded tires complete the foundation and two barrels for collecting rainwater are part of the greenhouse's north wall. The tutorial that tells all can be found here. 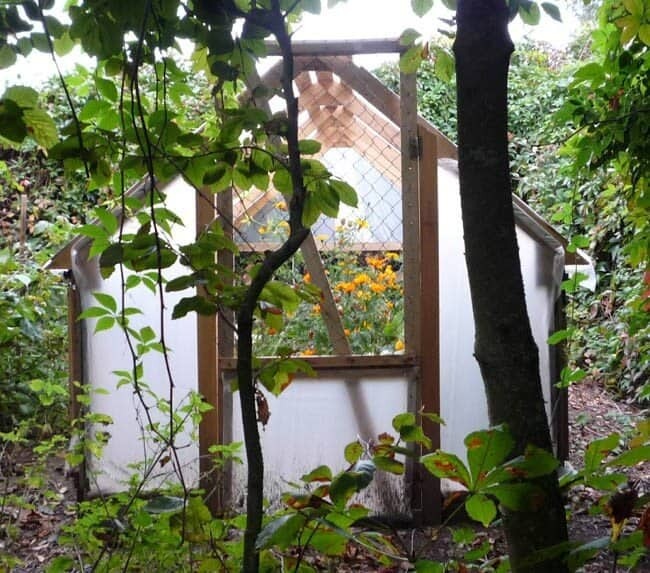 This is another variation of a cold frame we displayed earlier in this article, the one that stands along the southern wall of an existing shed. 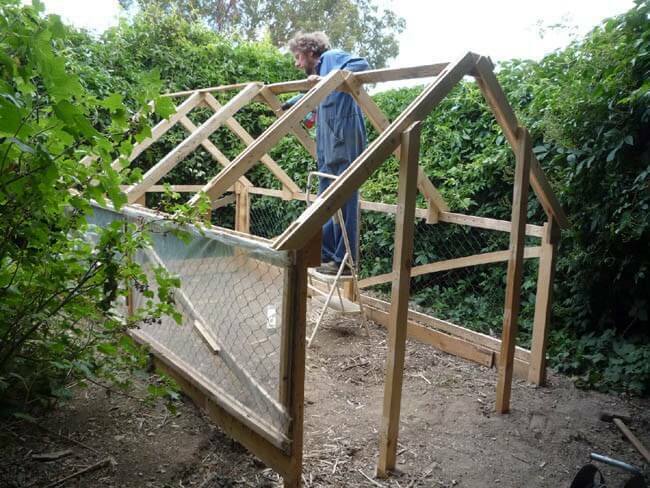 Because of the straw bales, this project is easy to complete without the use of any tools. See what went into the project here.